Agatha Moreno: My growing up was fun and interesting because I have a lot of siblings so I didn’t really need friends to be with but in the end I did had lots of friends and my father was in the military so it made things different, he was strict and very principled. I did my primary and secondary education in Yola Adamawa State and I then moved to Abuja where I did few computer training and worked in Bouygues before I went to America then England where I finished my education and had my kids. I recently relocated back to Nigeria from England,my husband lives and works here in Nigeria so thought its best to be by his side. Agatha Moreno: My brand name is called PJJD by AGATHA MORENO. I took the first alphabet from my kid’s names which is Peter,Jade,Jasmine and Diego (pjjd), Moreno is my husband’s name. I started my brand 7 months ago, at my sitting room, I have always loved fashion right childhood and I have always wanted to start my own fashion label, sitting and discussing with a friend in my sitting room we talked about a lot stuffs and I told her Nigeria is boring and not much going on as I really don’t know a lot of people like I used to and I just relocated back. I said I love fashion but I don’t know what to do and how to find my way around because I’m new here. And she said I don’t have to know a lot of people the beautiful of my design will bring me clients,which I agreed to and that was how it all got started. La Mode: What is the most challenging part about being a fashion designer? Agatha Moreno : The most challenging part of being a fashion designer is having your workers play around with work when you have a target and also orders from clients,having to leave my family and travel for events which I must be there to show my design. La Mode: What inspired you to be a fashion designer? Agatha Moreno: The fact that I love fashion a lot and I also get to follow as it trends inspired me that I can actually go into this and be great in it. La Mode: What skills are important for a successful career in fashion design? style or fabric. You must be stylish enough to know what color is best for what. La Mode: Do you have qualifications that relate to fashion designing? La Mode: What type of fashion designing are you specialized on? Agatha Moreno: I focus mostly on elegant evening wears for women, official wears and ready to wear. La Mode: How do you stay up to date with fashion? Agatha Moreno: I follow up by making research online, I buy a lot of fashion magazines, also on social media but of course I always have my own ideas. La Mode: Which fashion blog/Website is your favourite? Agatha Moreno: Wantmylook, allthingsfiere, Chanel by Chanel. La Mode: What is your view about fashion in Nigeria? Agatha Moreno: I believe the fashion industry in Nigeria is still growing as it can not be compared to Europe or America. I believe it will grow way bigger in no time as sky is the limit and the people are very fashionable and very comfortable in their own skin, also they are willing to try new things and go all out. So proud of my country Nigeria. La Mode: Where do you see your brand in 5years from now? 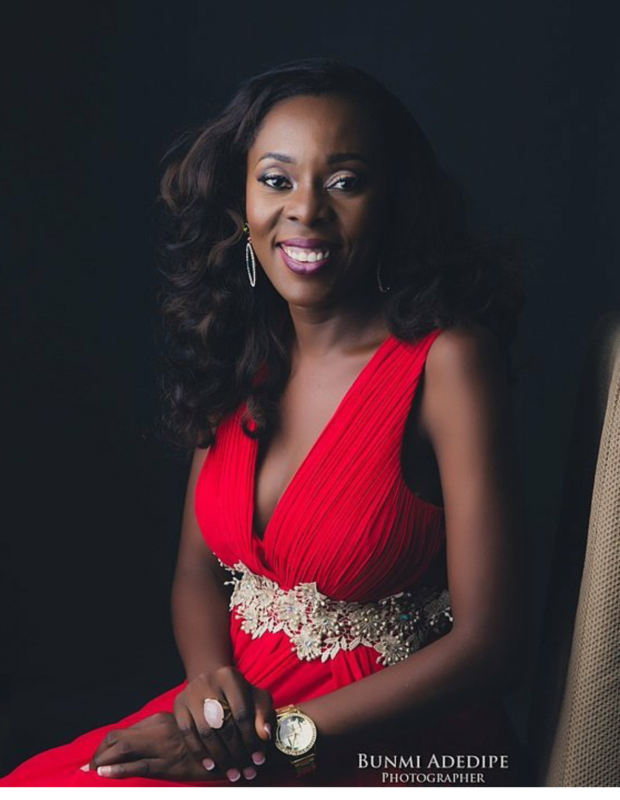 Agatha Moreno: In five years I see my Brand as one of Nigerian’s finest and biggest Brand. La Mode: What is your advice for people who want a career in fashion designing? Agatha Moreno: My advice to them is to be very hard working, focused and determined. I saw Agatha at the Red Carpet and loved her spirit, style and confidence. I especially loved the top she had with the skinny black pants. Please email me to let me know where to purchase her clothes. Thanks for reaching out . Please Agatha can be contacted through email pjjdbyagathamoreno@gmail.com and on her instagram page: pjj_am once one thank you for your comment.